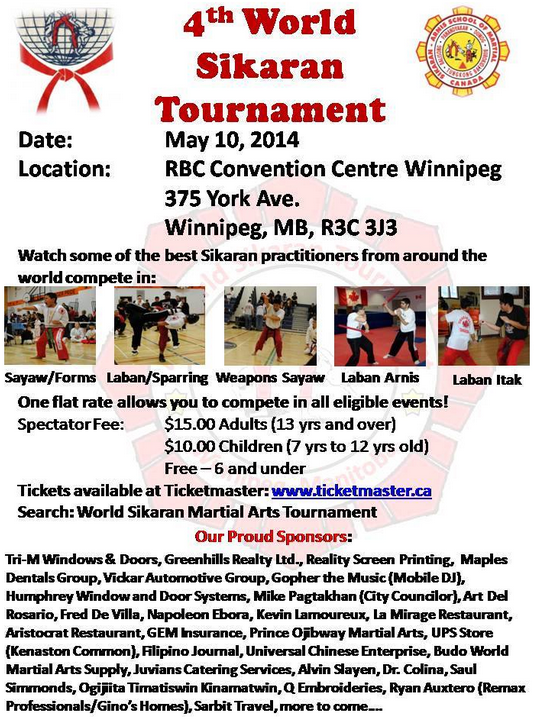 The Sikaran World Championships have been scheduled to take place on May 10 at the Winnipeg Convention Center. The advertised events include ‘sparring’. The problem? A Sikaran contact sparring contest will run afoul of the Criminal Code creating a potential showdown with authorities in Winnipeg this weekend. As previously discussed, Section 83 of the Criminal Code makes some amateur combat sports legal by default and criminalizes others. Amateur combat sports that are legal by default are limited to those “in the programme of the International Olympic Committee”. These include Boxing, Wrestling, Judo and Tae Kwon Do. Section 83 allows Provinces to expand this list. Where no such designation exists the default position governs. Currently, Manitoba has not exercised their powers expanding the designated martial arts beyond the default list. This will pose a real problem for the Sikaran championships. Either they will need to strip contact events from their program or risk criminal charges under Section 83. This situation illustrates the real urgency created by Section 83. Provinces need to enact clear legislation setting out which Traditional Martial arts are legal and how they are to be regulated. Event promoters would be wise to understand this legal framework before booking events.